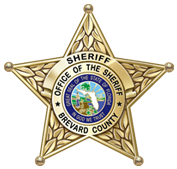 Brevard County Sheriff’s Office Animal Services Frequently Asked Questions. What should we do until you arrive to help? Try to remain calm. Call 911 for emergency services if you are reporting a life-threatening situation. Emergency services can deploy police and rescue units faster than we can in such instances. For non-life threatening situations, call Animal Services directly at (321) 633-2024 to speak to a telecommunicator your situation. Telecommunicators have a wealth of information and in many instances can help you help yourself without having to wait for an Enforcement Officer to respond. The telecommunicator will also evaluate the circumstances of your call to determine if a Field Officer should respond and a case report will be initiated. Please provide your name, address, phone number, and directions on how best to get to your location. A description of the animal(s) and the owner address, if known, is also helpful. Providing this information can expedite your call. Emergencies are life threatening conditions such as aggressive animals, animals that have bitten someone, injured or sick animals with someone standing by with the animal until we arrive, and animals inside the living area of a dwelling that are of a high risk for rabies, such as bats and raccoons. How long will it be for an officer to respond or arrive? Calls we receive are responded to on a priority basis. Police assistance, bite investigations and other priorities are handled first. Can I remain anonymous when reporting? Yes. However, in doing so, you have to provide an exact address to respond to and provide more information about the circumstances of your call. We will investigate based on information provided. We respond to anonymous calls for the protection of the animal. If it is determined that the initial call is unfounded (has no merit), follow up anonymous calls about the same issue may not be responded to without the caller leaving their name, address, and telephone number. Who is in charge of Animal Services? Joe Hellebrand is the Director of Animal Services and Enforcement. The department Director, telecommunications, tag office, customer service, dispatch, enforcement officers, and supervisors are located at 1515 Sarno Rd Melbourne Fl 32935. The South Animal Care and Adoption Center is located at 5100 W. Eau Gallie Blvd., Melbourne, FL 32935. My Pet has a 3 year rabies vaccination. Does that mean I only have to get a tag every 3 years? No, you still have to register them every year. How many animals are you allowed to have? Four (4) adult dogs. Puppies under six (6) months there is no limit. Code Enforcement is the agency that enforces such law. How long of a leash can an owner use to walk their pet? The maximum legal length of a leash is six (6) feet. Can my cat run outside? No. The same leash laws that apply to dogs apply to cats as well. Is there any other place where I can rent, purchase, or borrow a trap? Yes. We can provide you with a list of retailers near you where you can rent a trap for a small fee. You can purchase traps at places like Lowe’s, Home Depot, etc. In some cities, you can borrow a trap from city hall. Why do I have to trap stray cats? Catching cats not confined in some way such as in a room, garage, shed, etc., is difficult. There are many places for a cat to hide or climb, putting them out of reach. Cats may be friendly to a resident but will run from an officer because of all the animal smells on the officer’s uniform. Officer uniforms smell of dogs, raccoons, etc., which are natural enemies to a cat. When a cat smells these odors they instinctively flee to safety. Because of this we do not take cats being held by people. This could cause the person holding the cat to get scratched or bitten exposing the person to potential rabies. Because of limited resources and the high degree of failure in catching cats out in the open, it has become necessary for residents to trap cats before we can successfully remove them from an area. Who can I call to trap or remove nuisance wildlife? For assistance on nuisance wildlife, please contact Florida Fish and Wildlife Conservation Commission.